Today is the start of the Blogging from A-Z Challenge hosted by Arlee Bird and his team of awesome bloggers. The idea is to post something on your blog every day throughout April except for Sundays which gives you 26 blog posts in total-one for each letter of the alphabet. This year will be my second time participating and so far more than 1500 people have signed up for the challenge! My A-Z theme is: Elements and features of speculative fiction and entertainment. So throughout April I will be blogging about characters, objects and themes that appear in sci-fi, fantasy and dystopian series. But first, I want to mention something else that starts with A: Arlee Bird! He is the founder of the A-Z challenge and I would like to offer him a massive thank you for starting it. I’ve had so much fun joining in, and am really grateful that Arlee came up with the idea and made it happen. Thanks again! Today’s post is all about Alchemy. Alchemy was an ancient philosophical practice that involved attempting to turn base metals into gold and silver using a mixture of early science and magic. Some alchemists sought to discover the legendary ‘philosopher’s stone’, believed to be an elixir of life which would grant immortality. Before he endeavoured to create the ‘monster’, Victor Frankenstein was searching for ‘the philosopher’s stone and the elixir of life’, which was believed to be capable of ‘bestowing animation upon lifeless matter’, (what he eventually achieves). Chapters 2-4 describe how as a boy he read the work of several different alchemists and became fascinated with their ideas. He tries to wed the methodological aspects of science with the metaphysical visions of alchemy to discover the answer to the questions and mysteries that plague his soul. In Harry Potter and the Philosopher’s Stone, the character Nicolas Flamel is based on a real alchemist of the same name. In the book, Flamel creates the only known philosopher’s stone in existence, and uses the elixir of life made from the stone to extend his own life, and that of his wife, to over six centuries. 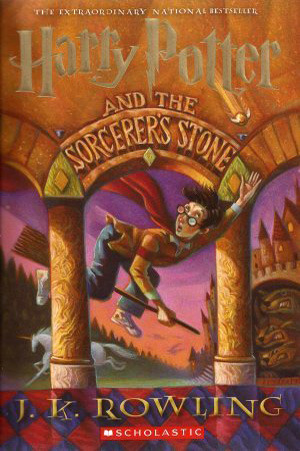 Voldermort covets the stone in his quest for immortality and tries to steal it from Hogwarts. Historically for alchemists, the philosopher’s stone was a symbol of achieving perfection, and this theme is carried throughout the Harry Potter series as Harry is transformed from boy to man. In The Deathly Hallows, the polyjuice potion with Harry’s hair added turns ‘clear, bright gold’. Alchemy is intimately connected with potion-making and is covered in the sixth year potions curriculum at Hogwarts, as well as as an optional subject in its own right. In the Discworld novels, alchemy is mocked somewhat as a fool’s occupation. The Alchemist’s Guild is ‘known more for its failures than its successes.’ They are known for producing regular explosions, even blowing up their own building and accidentally killing themselves off. They dabble with all sorts of chemical reactions including developing ‘octo-cellulose film’ which led to the discovery of moving pictures and transmuting things into artificial ivory. They are wary, though, of dabbling in anything ‘magical’, instead favouring science. 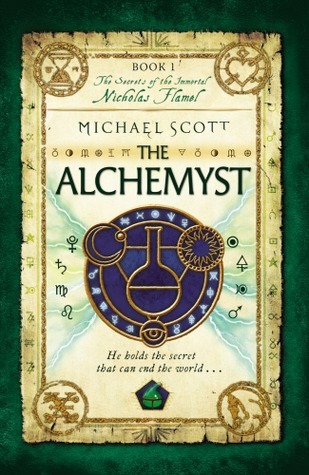 The Septimus Heap books also contain a lot of alchemy. Nice to meet you too, Ella. Maybe I'm part crow too. I like to collect shiny things, as well as bits and bobs from places I've visited which I keep in big 'scrap boxes' (as there's too much for a scrap book) in my loft. Thanks, Patricia. I love sci-fi too, it's total escapism. This looks like a fun theme. I'm especially fond of SciFi. Hi Rebecca, thanks for popping over. Oooh Ascendant is such a great title. I just looked up the synopsis and it sounds right up my street! Thanks a lot, Daniel. Really glad you enjoyed it! Yay, I'm glad I found a kindred spirit! I'll be sure to check out your blog, as your MG novel intrigues me. Thanks for visiting, Kate! Wow, I'm impressed that your knowledge is so in-depth. I have a vague understanding of how there's a whole alchemy metaphor that can be applied to the structure of novels themselves, but I thought I'd better not get into all that. I'm so glad you took something from it, Terri. I'm really interested in stuff like this but not always sure if others are! Hi there, I'm here from the A-Z challenge. Love this post…my ASCENDANT series (coming out this June) is based on the practice of Alchemy. So glad I found your site! Great minds think alike! Glad you enjoyed the post, I'll hop across to your blog shortly. Well done…in one fell swoop you managed to list three excellent and disparate stories. Resolved: I shall have return to your blog more frequently. Best of luck with A to Z! Oh, man–I delved DEEPLY into alchemy stuff when five of the Harry Potter books were out–I was part of discussion forums using alchemy to try to predict what would happen in the next couple. It was very fun stuff–I love books that use stuff like this. I still need to read teh disc world books. What a thorough tidbit on alchemy. I never knew exactly what the word meant! Great references to make it even clearer. Thanks so much for sharing this! I'm Anstice Brown (also known as Tizzy)- a book blogger and author of speculative fiction. To learn more about my writing, please visit my author website. I created Dusting the Soul to rave about books and share some of my own creative writing and artwork. I hope you enjoy your visit.